Below you find information about how and where to obtain atlases suitable for 2D/3D-visualization using Lead-DBS and its macaque toolbox extension. If an atlas you know of is missing, please contact us. 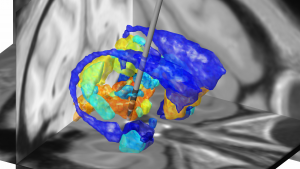 Looking for human atlases of the cortex / whole-brain parcellations? Please see this page. Looking for human subcortical atlases? Please see this page. A detailed atlas informed from over 100 structural MR scans of 19 rhesus macaque animals. Please note that the atlas is not exactly coregistered to macaque MNI space. However, a script to warp between the INIA19 and MNI space is supplied with the Lead-DBS macaque toolbox.